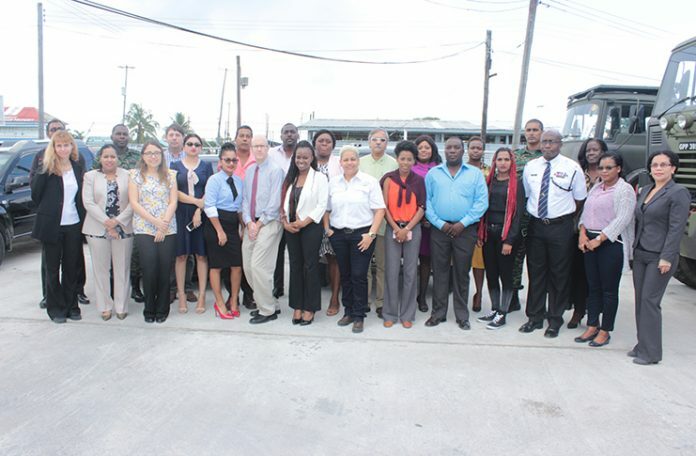 Guyana Chronicle:– IN response to the influx of Venezuelan migrants into Guyana, the Civil Defence Commission (CDC) in collaboration with the Department of Citizenship and the International Organisation for Migration (IOM) on Thursday conducted a workshop aimed at training service providers on international best practice in assisting migrants and protecting them from abuse and/or exploitation of any kind. The workshop was held in the conference room of the CDC’s Thomas Lands office. Having regard the fact that the issue of migration from Venezuela is a new and emerging challenge for Guyana, the Multi-Sectoral Committee, which was established by the Government to coordinate the national response and assistance, saw the need for capacity building within the said committee to better equip representatives and agencies to respond effectively to this and other such occurrences in the future. The Ministry of the Presidency said that the workshop saw the participation of representatives from the Ministry of the Presidency, Guyana Defence Force, Ministry of Indigenous Peoples’ Affairs, Ministry of Foreign Affairs, Guyana Police Force, Ministry of Communities, the Immigration Department, the Pan-American Health Organisation, Ministry of Public Health, United Nations Children’s Fund and the United Nations High Commission for Refugees (UNHCR). The sessions, which were facilitated by IOM’s Regional Coordination Officer, Mr. Robert Natiello and Programme Officer, Ms. Argentina Santacruz, dealt with issues such as human trafficking and migrant smuggling, migrants’ vulnerabilities, and direct assistance and referral systems for migrants.